Imagine you’re trying to determine your business’ projected sales for next year. Do you care about overall market trends? The number of sales people? How about marketing expenditure? A statistician can help you determine the useful variables, but that takes having someone who understands the market, and requires time and skills to crunch the numbers and find the appropriate statistical model. Machine learning can work with statistical models to quickly determine if you’re overfitting or underfitting your data, and help you evaluate and select the appropriate model for your business. 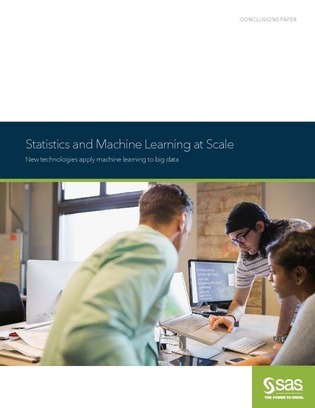 Download this resource for more on machine learning and statistics, including real-world use cases.